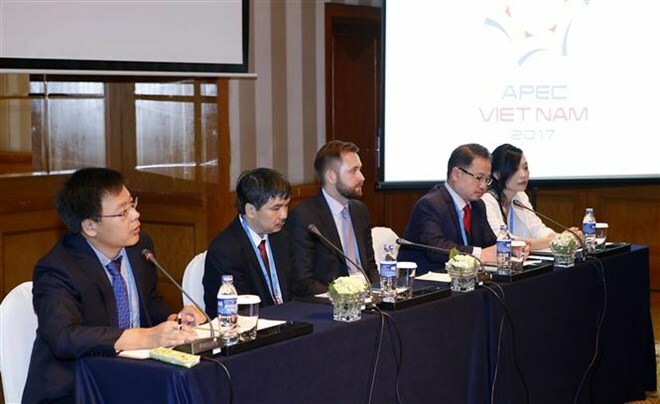 HCM City (VNA) – The impact of government policy instruments on promoting new energy vehicles was the main topic of the APEC 2017 Automotive Dialogue (AD)-Workshop in Ho Chi Minh City on August 18. Delegates at the event discussed strategies and practices of e-scooter promotion in Chinese Taipei, along with status and trend of new energy vehicle policy in China. They also compared automotive tax polices used to promote new energy vehicles in the APEC region. The APEC Automotive Dialogue (AD) serves as a forum for regional officials and senior industry representatives to work together to map-out strategies for increasing the integration and development of the automotive sector within the region. The event is part of the ongoing third APEC Senior Officials’ Meeting (SOM 3) and related meetings in HCM City.